Add a few tablespoons of dashi into a small bowl. Add some miso to the small bowl; you will need about 2 – 4 Tbsp of miso for 3 1/2 cups dashi. You can use one kind of miso, or you can mix two types (e.g. 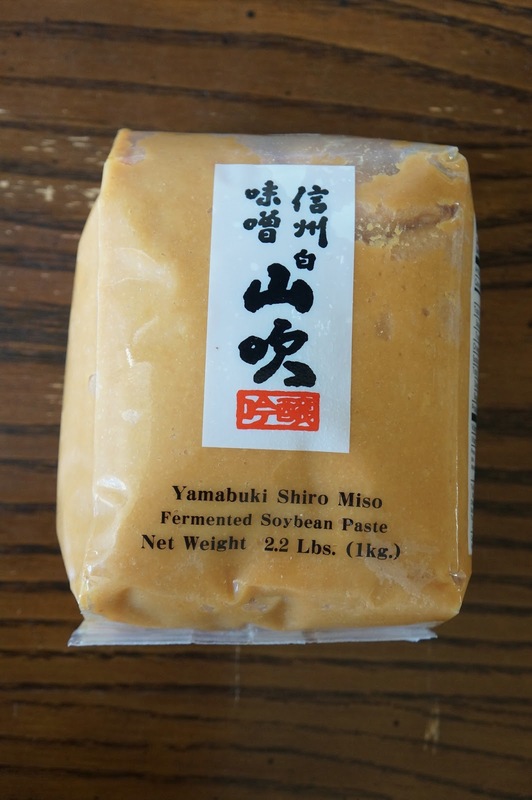 mild and a stronger aged miso) for a more complex taste. Use a spoon to dissolve the miso into the broth in the a small bowl (if you add the miso directly to the dashi it will be hard to blend and your soup may be full of miso pellets). Add the softened miso to the soup, to taste. That is, stir a portion of the softened miso in warm or hot dashi; keep adding the dissolved miso until the soup tastes salty enough to you and has as much miso flavor as you want. Optionally, instead of stirring the dissolved miso directly into the soup, you can pour it through a strainer to remove large particles in order to make a smoother soup (some misos are more chunky so straining will remove these chunky bits). Although no special tools are needed to make miso soup, a miso koshi is a specialized strainer which makes dissolving miso even easier. The miso koshi has a small strainer with a vertical handle attached, often with a hook to hang on the side of the pot. 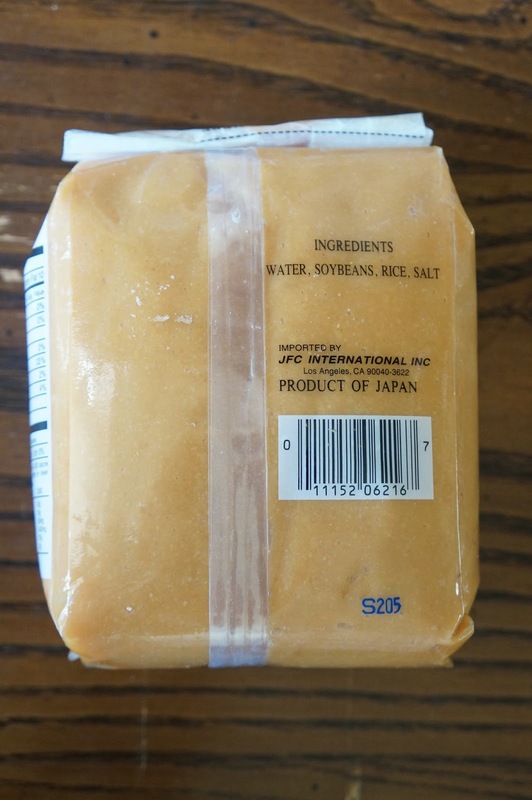 To use, place miso paste in the strainer, and place the strainer directly in the dashi so that the miso is immersed. Use a spoon to dissolve the miso in the strainer. The dissolved miso will filter into the soup, and the strainer will prevent chunky bits of miso from going into the soup so that the soup will be smoother. 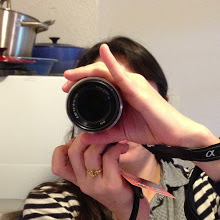 Optionally you can garnish the soup with a wide variety of ingredients such as seaweed, sliced mushrooms, or tofu. 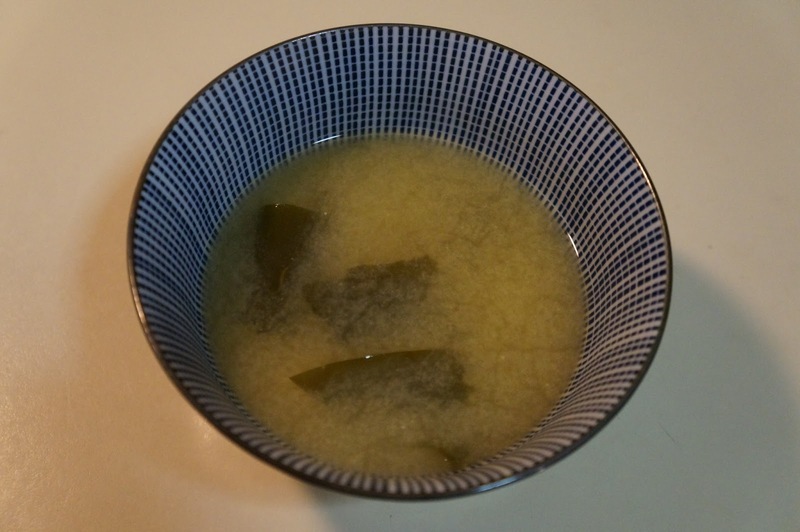 Heat the miso soup until hot, but do not boil since boiling will change the flavor. Serve the soup when it is piping hot, preferably when you can still see the soup steaming (miso soup is often brought to the table with a top over the bowl, so that you will see the steam when the top is removed). Miso soup with some dried wakame seaweed that was added to the hot dashi, and simmered for a about five minutes until soft.